You have ordered your custom cabinets a few years ago and you’re still proud of them. Aside from the fact that these furniture elements display a few scratches, stubborn stains and fingerprints, they still manage to amaze your guests with their elegant design and classy additions. 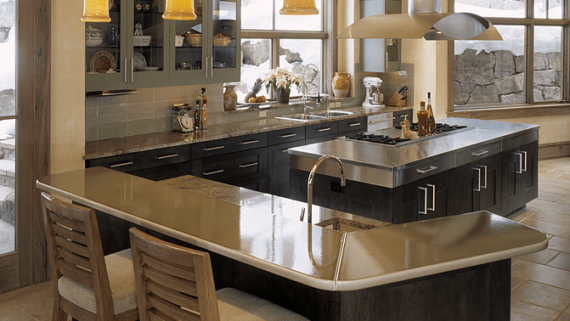 But every now and then, you struggle to find the simplest methods to add a touch of glam to the custom cabinetry that deserves your undivided attention. You don’t want to replace your bathroom and kitchen cabinets (and you probably couldn’t afford to pay for these changes), and yet you would be happy to witness a series of improvements in terms of design and functionality. If that is the case, below you will find a few useful suggestions enabling you to give those old cabinets an immediate, cost-effective facelift. 1. Create Pull-out Cabinet Shelves. Most changes are triggered by practical requirements. 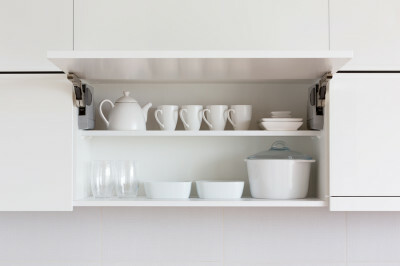 Lack of space can become a very upsetting problem forcing you to store your pots and pans on your countertops and make your kitchen seem cluttered and unorganized. The same goes for your bathroom. Why would you be even remotely tempted to deposit your personal hygiene essentials in random places when you can upgrade your cabinets to create more space for your most used belongings? Add a pull-out shelf to your existing cabinets to maximize their storage capacity and take their usability to a whole new level. 2. Turn Old Stock Kitchen Cabinets into an Elegant Sideboard. Breathtaking sideboards don’t come cheap, that’s for sure. But this doesn’t mean that such additions should be taken off your “to own” list. On the contrary, you can use your creativity, basic DIY skills and excellent taste to turn the most inexpensive stock kitchen cabinets into an exquisite sideboard. To complete this project, first you would need to find the right molding, hardware (cute colorless glass vintage knobs are making a huge comeback) and furniture feet. This is the key to obtaining a marvelous handcrafted furniture piece at a fraction of the cost implied by a custom-made designer product. Apart from the fact that they are incredibly sleek, sideboards also make your life a whole lot easier, by allowing you to store everyday essentials, like bedding and tableware for instance. 3. Add a Fantastic Plate Rack. Are you very fond of your colorful, hand-painted plates? If so, why do you keep them behind closed doors? Dinnerware available in vivid colors can brighten up the entire room and reflect your awesome taste in china. 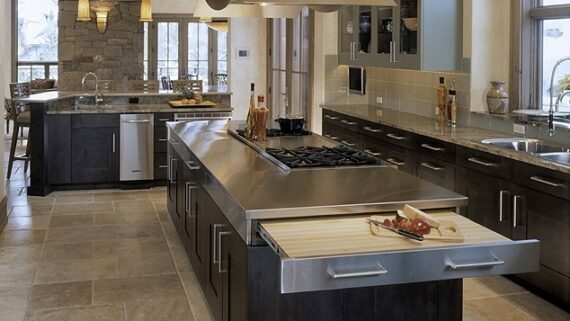 It would be a pity to store your dishes in your cabinets and put them on your dinner table every once in a while. To spruce up your tired, distressed kitchen cabinets, you could always decide to attach a basic plate rack to add a much-needed splash of intense colors to your indoor space. These racks unlock precious storage space and let your old cabinets get extra bonus points for their increased practicality. At the end of the day, a specialist in custom cabinetry can indicate the most meaningful kitchen remodel ideas revolving around furniture and new design changes. In case you feel the need to consult an expert to prep the field for your upcoming redesign project, just give us a call and we’ll offer you the best suggestions on this matter.